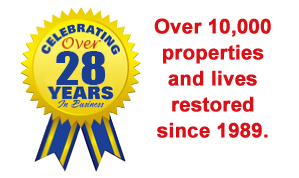 ICC is the fastest restorer in the Twin Cities and Western Wisconsin area, and we have restored countless storm losses. 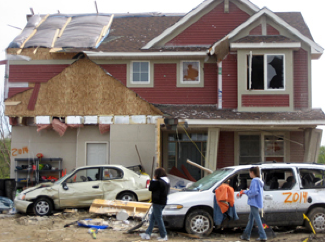 From emergency board-up to structural drying to reconstruction, we know what needs to be done and will get it done fast! Turn off the natural gas supply to your home. If water is leaking from plumbing fixtures, turn off the water at the shut off valve, if it can be reached without causing yourself or others harm. Do not touch any exposed cables or wiring inside or outside your home.